School Visits. Please see details below to learn more about my school visits. Conferences. Typically these are writing-focused conferences, reader-based conferences, or teacher/librarian-oriented conferences. Appearances include panel discussions, workshops, and presentations. To book me to present or speak at a conference, contact Lisa McClatchy (my publisher’s author liaison). The basic arrangements are similar to those for a school visit. Libraries. Libraries frequently bring in authors as public outreach, or as part of a reading program or a teen group, etc. To discuss having me give a talk or Q&A at a local library, you can contact me directly. In-Store Events (Q&A, readings, signings, etc.). These are typically scheduled around a new release, but can also be part of a program the store is hosting, such as a Kidlit Day or a Book Club or an Educator’s Evening, or as part of a larger book tour. (My wife and I presented at almost 100 bookstores across the country as part of our crazy “He Said, She Said” book tour a few years back.) To discuss having me at a local bookstore, you can contact me directly. Writer’s Groups. Many authors (including myself) are happy to speak or do a Q&A at writer’s groups. Contact me directly. 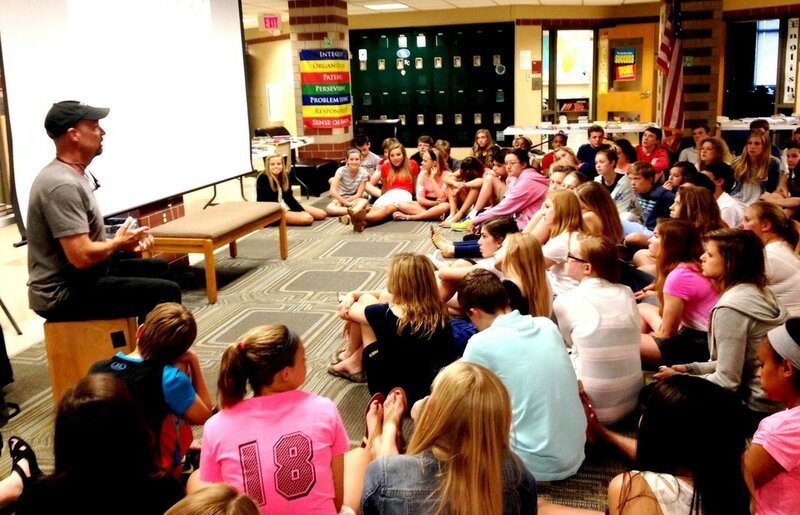 It takes a lot of organizational effort for schools to bring in outside speakers to motivate and inform their students, but if the school’s goals and the presenter’s goals are in alignment it can be a day the students remember forever… one that can jumpstart their love for reading and writing. 1. I want to read! A love of reading is such a precursor to success beyond school, and I think one of the best things we can do for young people is show them some of the magic that books can contain. 2. I want to write! Not just fiction but any sort of writing, whether a school assignment or personal journaling or an article for a blog. Writing is like physical activity – it’s all good and it all benefits the participants in one way or another. 3. All my different classes actually relate to one another! One of my goals is demonstrating that the varied curriculum in the student’s school experience actually builds to a unified body of knowledge. 4. All my different classes also relate to the real world! Along with the above, I demonstrate that the things they’re learning aren’t contained within a vacuum, but actually have meaning in the real world outside their school experience. It’s all connected… and we’re all connected! 5. Wow - that was fun! Enjoyment is a big precursor to learning. I want the students to stay engaged throughout the presentation so one of my goals is to be interesting and entertaining as well as educational. This is one of the reasons I use musical examples as a teaching tool regarding seemingly-disparate subjects like math, geography, art, and science. Covers creativity, passion, hard work, writing, publishing, and touches on the importance of arts in the school (primarily literacy and music). Also uses music and story to tie diverse curriculum together (history, math, science, arts, engineering) in an entertaining and inspirational way. This fundamental presentation (talk with PowerPoint slides and musical examples) is great for any size group, large or small, and can fit within a typical class period (can be tailored to between 40 and 60 minutes). If you are going to have me do a single presentation for a group of general-interest students, this is probably the best one. Sharing tips and experience gained from writing hundreds of articles for national publications, this workshop serves to ‘break the code’ to the publishing process, with a focus on giving students the tools they need to get published, mainly via short non-fiction pieces such as magazine/newspaper articles. This presentation (talk with PowerPoint slides and handout, plus Q&A) is also tailored to fit within a class period (40-60 min.) but works best with a smaller group of self-motivated students (20-50 attendees) who have a passion for Journalism, English, Creative Writing, or any other Language Arts field. Additionally, I’m happy to conduct Q&As about writing, editing, publishing, or any related subjects, as time allows. Also happy to lunch with staff and students for informal discussions. Video: I travel with my presentations on a thumb drive (as PowerPoints), so I need a computer that can play them connected to a projector/screen in your auditorium. Audio: I need a microphone on a stand (because I can’t hold the mic during the musical demonstrations) and an input for a second microphone cable. The second mic & cable (which I supply) are for my instrument. Presentation Booking and Travel, etc. I live on the Central Coast of California. For out-of-area bookings contact Lisa McClatchy, who is the School & Library author liaison for my publisher. She can discuss honorarium and availability and get the process started. Out-of-area school visits are booked “per day”, with a day consisting of three assemblies and any associated book signings. All three assemblies can be at one school, or you can share me among nearby schools where I can do one large assembly each. I prefer a two-day minimum for out-of-state travel (and travel costs per school are less that way) but I try to be as flexible as possible. For local school visits (ones that don’t require extensive travel or an overnight stay) you can contact me directly. 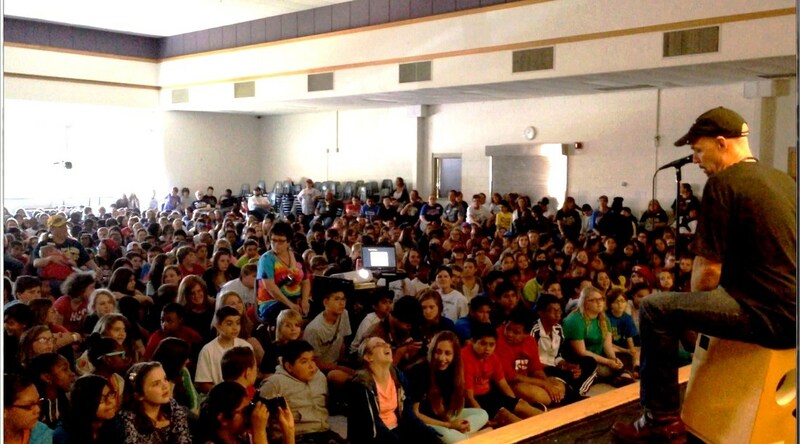 With 800 students sitting on the floor in a cafetorium, Mark Parsons worked his magic and kept his audience captivated with his entertaining, informative, and upbeat author presentation. Mark did a wonderful program that connected all the curriculum areas to each other and to the importance of reading and writing. I encourage schools across the country to schedule Mark Parsons for a highly energetic, motivational event with a drummer's unique rhythmic perspective. As a high school Creative Writing teacher, one of the hardest concepts is to inspire the students to take the first step into publishing. In just a few short minutes, Mark Parsons was able to illustrate the procedure into terms the students could grasp. He was able to eliminate their fears, give them a simple step-by-step guide, and encouragement to become a published author. He was entertaining and highly informative! Mark Parsons did a larger program in our school's auditorium and also in a single Creative Writing class. In both cases, Mark did a great job. The program was very engaging for the students and Mark is really easy to work with. I highly recommend him to your school. Mark Huntley Parsons has amazing delivery! The rhythms he produced are sticking with me still. Mark presented one of the most creative and innovative presentations to students I have ever witnessed. What a delightful presentation Mark Parsons gave at Central Middle School. The students were engaged in the various drumming examples he presented. He also creatively included goal setting and working to one's full potential to achieve. This was a presentation packed with wit, wisdom, and helpful guidance for teens.